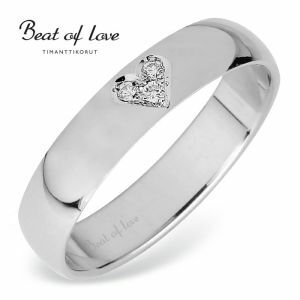 Beat of love timanttisormus tim. 3x0.01 TW/SI. Sormuksen rungon leveys 4mm.